Seems to me like lots of fabrics are popping up in neutral colors that would otherwise be wild…an understated statement maybe? 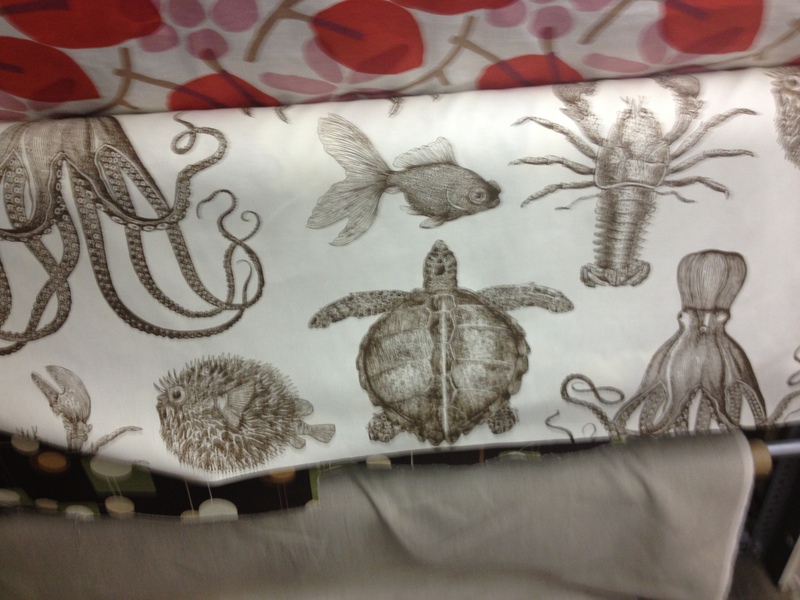 It adds dimension, depth, that “I just wanna touch it” factor; which is perfect for the home. Don’t you just wanna touch it? Even better, you can move to animal prints without making the room look safari themed (unless that’s what you’re going for, of course.) 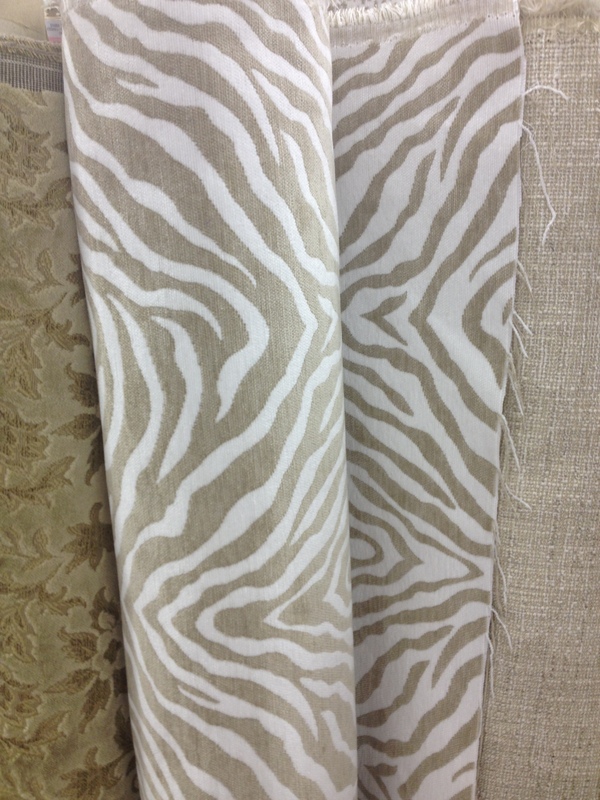 I do love a zebra or cow hide rug, but remember my “Lesson in Textiles” post? 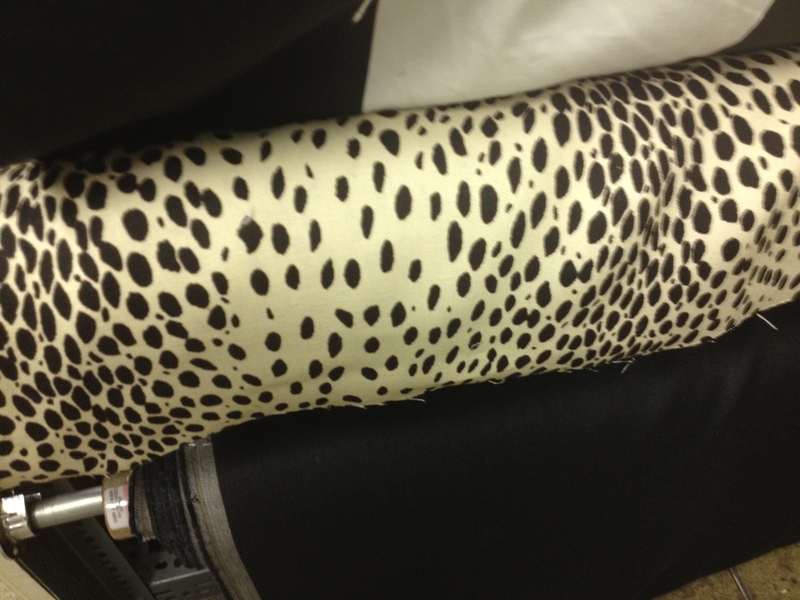 A fake-y looking animal print can totally ruin an otherwise beautiful piece of furniture. Added bonus: this fabric is reversible! The black dots are soft and velvety. Talk about luxe. Want a beach vibe without traditional blues or corals? 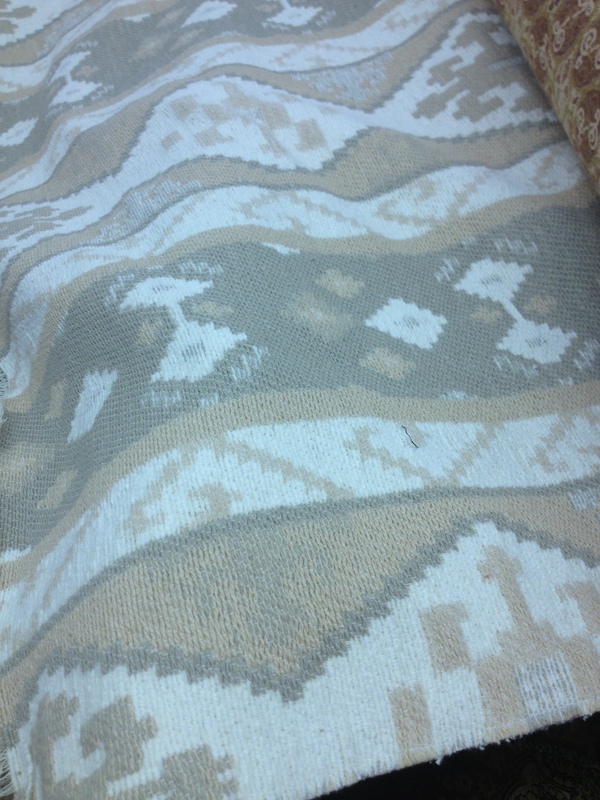 This brown print blends in (but still stands out) anytime of year. Try out the new neutrals in your home. You get major bang for your buck, the look transcends seasons, and if you want some color, it is so easy to add bright throw pillows or throws. Let me know what you think!